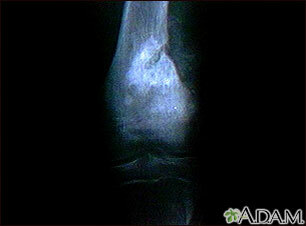 Some benign bone tumors go away on their own and do not need treatment. Your doctor will closely monitor you. 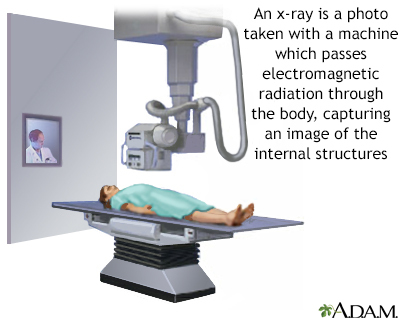 You will likely need regular imaging tests, such as x-rays, to see if the tumor shrinks or grows. Outcome is usually people with noncancerous (benign) tumors. 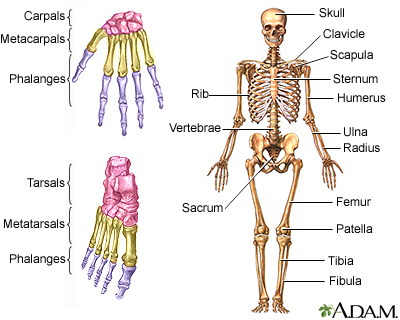 But some benign bone tumors can turn into cancer. 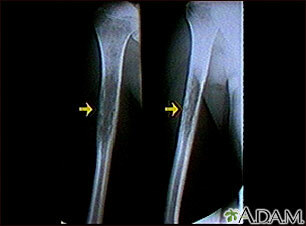 People with cancerous bone tumors that have not spread may be cured. The cure rate depends on the type of cancer, location, size, and other factors. Talk to your doctor about your particular cancer. Heck RK Jr. Benign/aggressive tumors of bone. In: Canale ST, Beaty JH, eds. Campbell's Operative Orthopaedics. 12th ed. Philadelphia, PA: Elsevier Mosby; 2013:chap 26. National Comprehensive Cancer Network. NCCN clinical practice guidelines in oncology (NCCN guidelines): Bone cancer. Updated 2016. www.nccn.org/professionals/physician_gls/pdf/bone.pdf. Accessed March 17, 2016.